chibirashka journal » Blog Archive » 情報デザインフォーラム - Life is short, Eat dessert first! 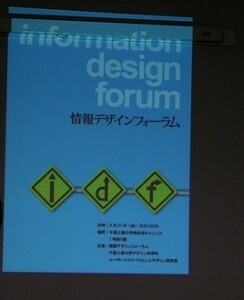 This entry was posted on 日曜日, 3月 29th, 2009 at 3:31 AM	and is filed under IA / UX / HCD / UI, カンファレンス・勉強会・仕事. You can follow any responses to this entry through the RSS 2.0 feed. You can leave a response, or trackback from your own site.